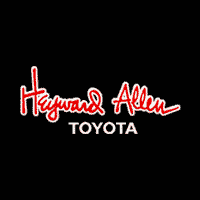 Heyward Allen Toyota recognizes the extensive training military veterans receive translates into a dedicated and highly-skilled workforce. Their capacity to handle unimaginable stress is a given. Military spouses, too, bring unparalleled resiliency and adaptability as they move from one station to another. If you have served in the armed forces, we invite you to apply for one of our open positions.